In a recent article, C.D. talked about some of the best games he's never played. We all have them, of course. Those games we wish we could play but, for one reason or another, do not. I have a large pile of them sitting either in PDFs or on my desk, but the one that has bothered me the most deserves a mention today. 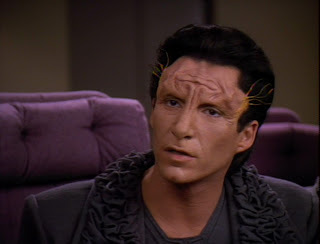 I've always been a Star Trek fan. There's something about the Space Opera genre that I love, even more so than fantasy, and finding a truly good system to use for those kinds of star-spanning adventures isn't nearly so easy as it is to find one of the billions of fantasy-based systems. So when I finally broke down and got the classic Traveller rules from Drive Thru RPG, I was pleasantly surprised to find that here was the ultimate set of Space Opera roleplaying rules. Everything, all in one self-contained little package of awesome. Truthfully, I probably ought to have splurged and got the Mongoose edition, as I hear it's basically the same thing and a little more readable, but the old-school text was perfect to my eyes. And for the past six months, it has been sitting, unused, on my hard drive. Why? Because, my current group doesn't care for science-fiction as a setting. Don't they see what they're missing?! And it's a shame, because as far as systems go, Classic Traveller is right up there with 1e D&D in terms of grooviness. It's more abstract than a lot of modern games, in that the dice require some interpretation, and has a lot of randomness, including the infamous ability to die during character generation. But never have I seen a game include so much, so elegantly. The rules include sections for generating unique planets each with their own eco-system, detailed ship combat, information on building your own spaceships, a simple and yet fun trade subsystem, a decent set of pisonic rules, and the ability to do battle with fancy laser guns and primitive swords. Plus, Classic Traveller had real computers. 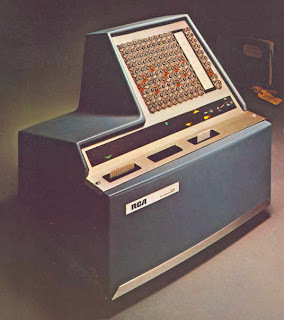 You know, the type you had to code by archaic ticker-tape punch outs. And all of this clocks in at only 68 pages in the PDF Starter Edition (plus a few charts). It's a tad messy in places, and obviously modern readers will want a cleaner format, but it's all there. A universe of possibilities, distilled into an itty-bitty package. It's a mix of crunchy (calculating flight times will almost certainly require a calculator for the less mathematically inclined) and abstract (combat is short, lethal, and lacks the tactical finesse of, say, 4e). It is a system that changes based around how frivolous or serious you want to play it. I've created characters ranging from a "hard" sci-fi researcher, addicted to a future narcotic, to a revolver-wielding anthropomorphic dinosaur. With no set classes or races, you really are limited only by imagination and tone. Of course, supplements added these things in, but to me the real joy is coming up with your own version of the universe, and with rules as easily adaptable as in Classic Traveller, you could be creating alien races as easily as changing one or two features. 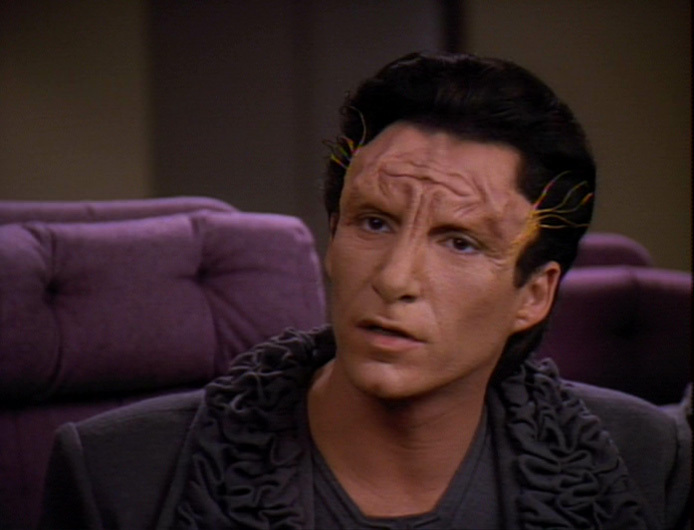 In Star Trek terms, just add extra forehead and you're done! Bingo! Instant alien! For extra-special bonus awesome, just make him green and add an eye stalk or two. I've heard Traveller called the game that everyone talks about and no one plays. I really hope that's not an accurate description. How about it? Anyone else ever manage to play Traveller, any edition? If so, how did it go? Up with the gamer proletariat, and down with everything not D&D! PS: How exactly does one die during character creation?! 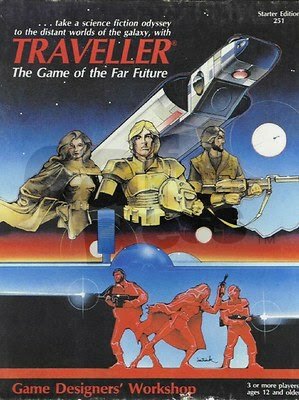 Traveller made the shortlist of RPG systems I may buy for my school library, but I've never played it. Is this something you could imagine playing with/as teenagers? Years too late in responding - bit yes. Most of those I interract with in the Traveller groups are my age (late 40s-50s), and had been playing ever since we were teens and even preteens. My exposure to such games required my attention and it raised my grades and certainly my math and vocabulary skills were increased. RPG's like Traveller andA AD&D were the best things to come my way as a kid. Hmm, I've never played Blue Planet. Might have to check that one out sometime. As for how you die in character creation, in Classic Traveller you start as an 18-year old ready to enter one of the available service branches (Navy, Army, Scouts, Merchants, etc.) and you develop your character in four-year chunks. Each four-year term gets you more skills and more money, although each term requires a survival roll which, if failed, means your character was lost to the cruel dangers of space. Lucky you! I'll keep working at my group to entice them to try it, but right now they are stuck in swords and sorcery mode. The first real RPG I played was Traveller, even before I played D&D. It's a fun game. The freedom and options in this reminds me of D6 Space (though, I admit, Traveller was obviously the original). I love me a game where I can mash up my favourite tropes. I'm picturing an amalgamation of Battlestar Galactica/Wing Commander/Star Wars/ROBOTECH. You can do that in this game, right??? I would describe the setting but it would be so eye-meltingly awesome that my sad little computer wouldn't be able to process it and it would burst into flames, scarring me horribly. I was 15 when I started playing it. In first year University I ran a Traveller club. Teens love it. Heh, that makes me feel too young. I need to devour more of the classics! Well, you might want a supplement or two if you want to make the Ultimate Sci-Fi Adventure Game Mashup, but it's still pretty open. The comparison to D6 Space is accurate to a degree. Although, now that you mention it, I want a friggin' Wing Commander game!